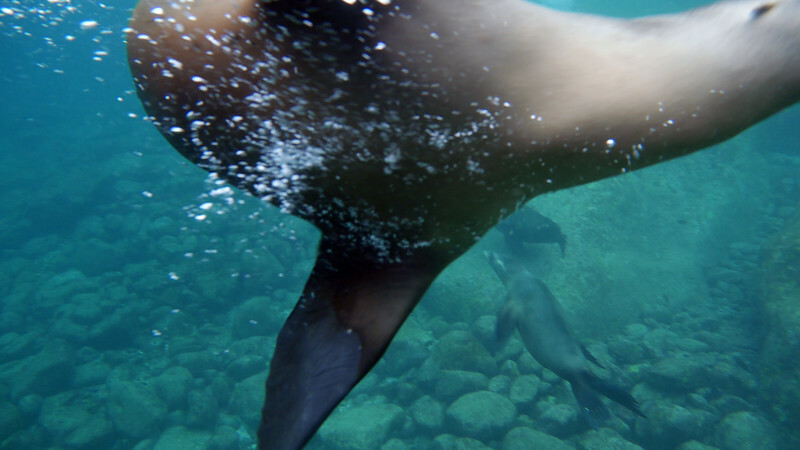 Once I got past the initial shock of the frigid water, it was incredible to cavort with the sea lions. The young ones were very playful. You could almost see them deciding which human to terrify. They would charge at full speed, then pull up just short, then turn away to do it all over again. Must have been great fun for them. Video captured this action much better than stills (video link coming soon).